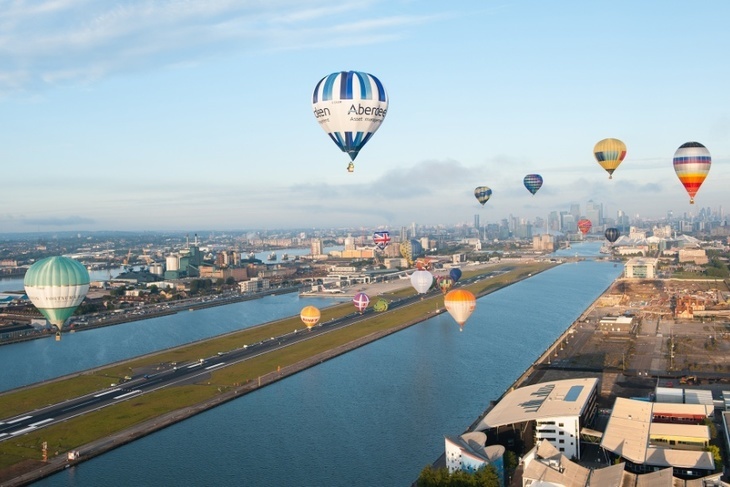 See These Balloons Over The City? 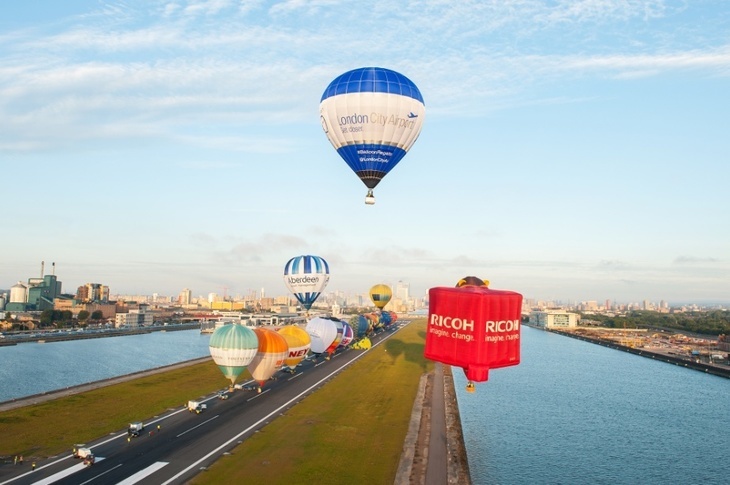 Will Noble See These Balloons Over The City? 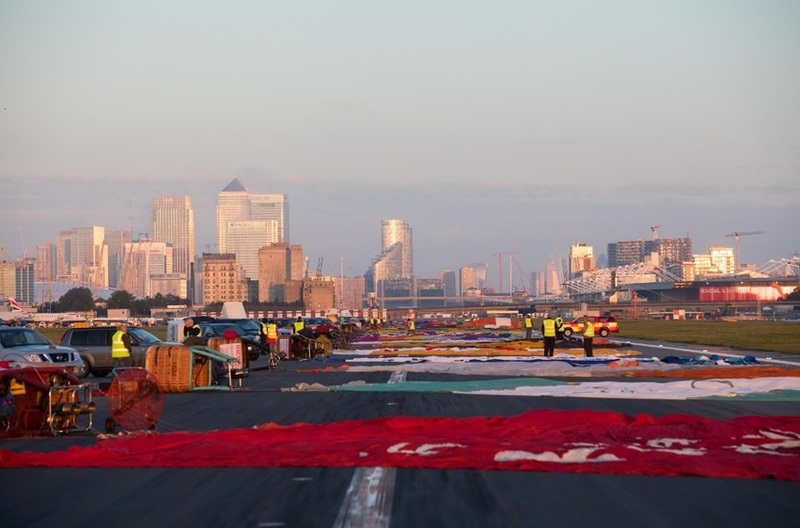 Launching one hot air balloon requires perfect weather conditions and a lot of skill to boot — so you can imagine the preparation that goes into launching 27 of the things... from City Airport. 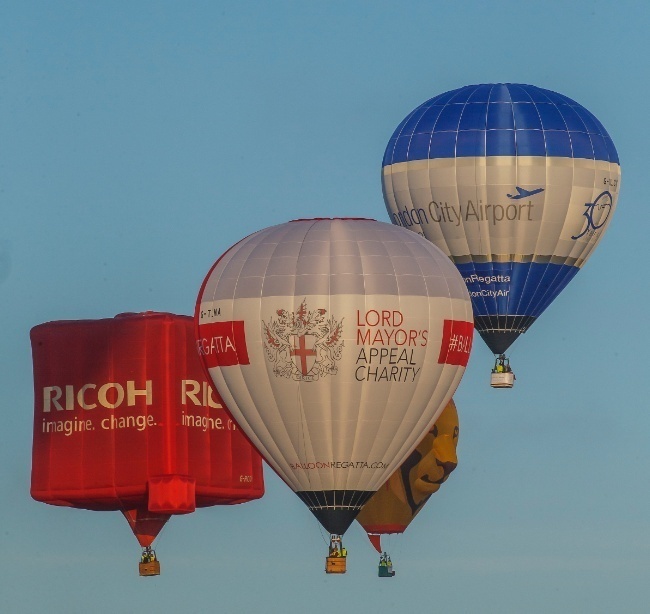 The annual Lord Mayor's Hot Air Balloon Regatta was postponed in June 2017, due to inclement weather, but at 7am on 10 September, the balloons finally took flight. 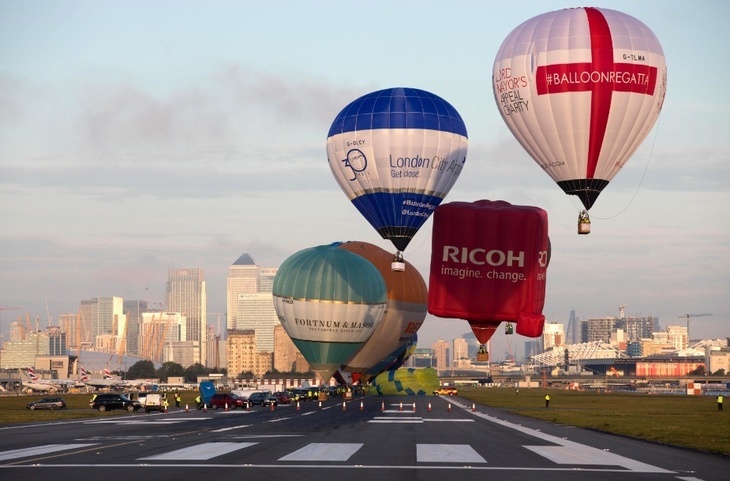 It was the first time the regatta has launched from London City Airport. The feat coincided with the airport's 30th birthday celebrations. 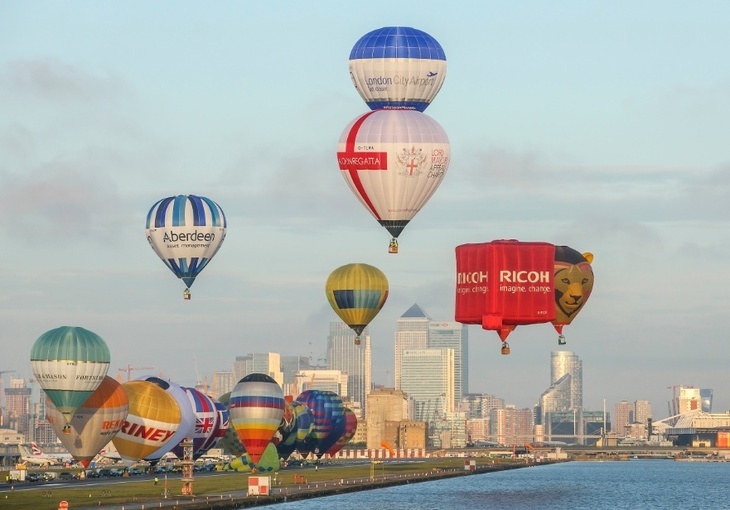 Londonist's own Ross Miklaszewicz was lucky enough to be in one of the balloons. He (and they) remained airborne above London for over one hour, travelling north eastwards at around 300 metres (1,000 feet). The balloons headed over Dagenham, Hornchurch and Upminster, before dispersing and landing in various fields. 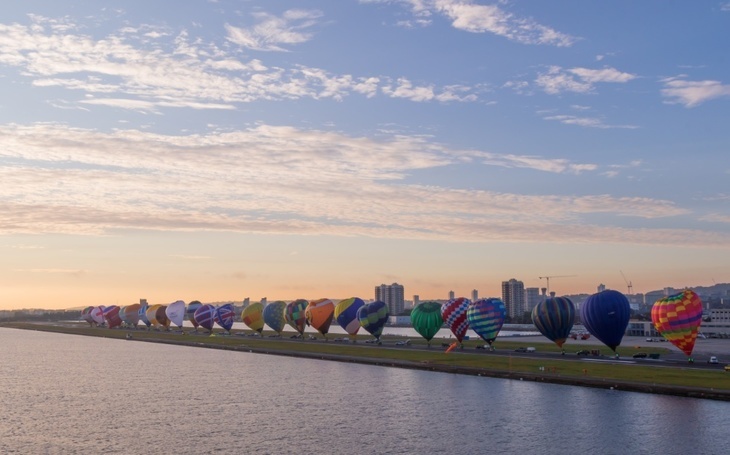 Said Lord Mayor Andrew Parmley, "This glorious sight will raise spirits along with support for my Lord Mayor's Appeal – benefitting three charities which do a huge amount to support education and music in our communities. They are: London Symphony Orchestra Discovery programme, St Paul's Cathedral Music Outreach and Music in Hospitals. "The money raised will help these charities to continue building aspiration, confidence and talent, and I hope many more people will be inspired to support their terrific work through my Appeal."